They conducted hundreds of interviews and reviewed hundreds of case studies and survey questionnaires. What emerged were five fundamental practices common to extraordinary leadership achievements. Now known worldwide as the most practical model of leadership development, The Five Practices of Exemplary Leadership® continues to prove its effectiveness in cultivating and liberating the leadership potential in anyone—at any level, in any organization—who chooses to accept the challenge to lead. In corporations and nonprofits, from academia to government, healthcare to technology, The Leadership Challenge has helped millions of leaders gain clarity in their vision and purpose. And along the way, they’ve shown how, when you empower those who follow to achieve their personal best, you can transform companies, campuses, and organizations anywhere in the world. The Leadership Challenge workshop and the LPI 360° measure Leadership behaviors at the highest levels and provide deep insights, awareness and understanding of how to increase, improve and heighten our impact on our company’s culture, growth, success and our people’s development and productivity - helping us to make extraordinary things happen in our organizations. ProLaureate is delighted and proud to be a part of The Leadership Challenge movement. We look forward to learning more about you and your company and sharing more about the TLC and LPI and how we may be able to help you transform your culture and unleash the power of leadership in your organization. Three decades later, The Five Practices of Exemplary Leadership® model continues to prove its effectiveness as a clear, evidence-based path to achieving the extraordinary—for individuals, teams, organizations, and communities. 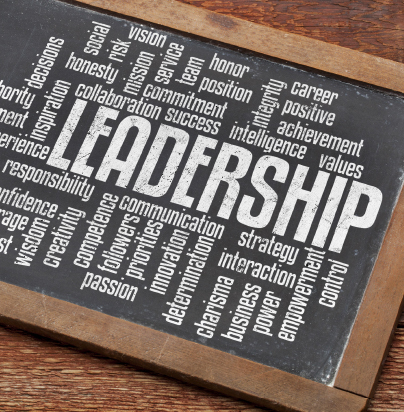 It turns the abstract concept of leadership into easy-to-grasp Practices and behaviors that can be taught and learned by anyone willing to step up and accept the challenge to lead. As measured and validated by the Leadership Practices Inventory (LPI)—one of the most widely used leadership assessment instruments in the world—ongoing studies consistently confirm that The Five Practices and our assessment tools are positively related to both the effectiveness of leaders and the level of commitment, engagement, and satisfaction of those that follow. Leaders search for opportunities to change the status quo. They look for innovative ways to improve the organization. In doing so, they experiment and take risks. In addition, because leaders know that risk taking involves mistakes and failures, they accept the inevitable disappointments as learning opportunities. The Leadership Challenge® Workshop is a unique, intensive, and highly interactive experience that has served as a catalyst for profound leadership transformations in organizations of all sizes and in all industries. Workshop attendees often describe how The Leadership Challenge is more than a training event, how it truly changed their lives. It is a bold statement, we know, but we've watched it happen time after time, leader after leader. The Leadership Challenge® Workshop will engage you and your leaders through experiential activities, workbook exercises, group problem-solving tasks, video cases, and lectures. And you’ll get plenty of hands-on practice applying The Five Practices leadership model to current organizational and personal leadership challenges. Immensely practical and hands-on, The Leadership Challenge® Workshop is designed to inspire, engage, and help your leaders develop the skills needed to meet whatever leadership challenges lay ahead. The core curriculum is structured around seven components, including five independent modules that focus specifically on each of The Five Practices of Exemplary Leadership®. Each module describes the practice, reviews the Leadership Practices Inventory (LPI) items related to that practice, and ends with techniques that ask participants to reflect on how to apply what they’ve have learned to a current leadership challenge of their own. With a plan of action in-hand for taking the key learnings from the workshop back to the workplace, leaders will be prepared to implement these new leadership practices back on the job, beginning Day 1. The TLC workshop can be customized in terms of number and length of sessions; number of attendees; ongoing coaching and development post workshop; and in many other ways. Give us a call or send us an email to discuss your unique wants and needs.